Stuart & Branigin lawyers and staff provide leadership and service to many community and professional organizations, following a 130+ year firm tradition of giving back to our community and our profession. 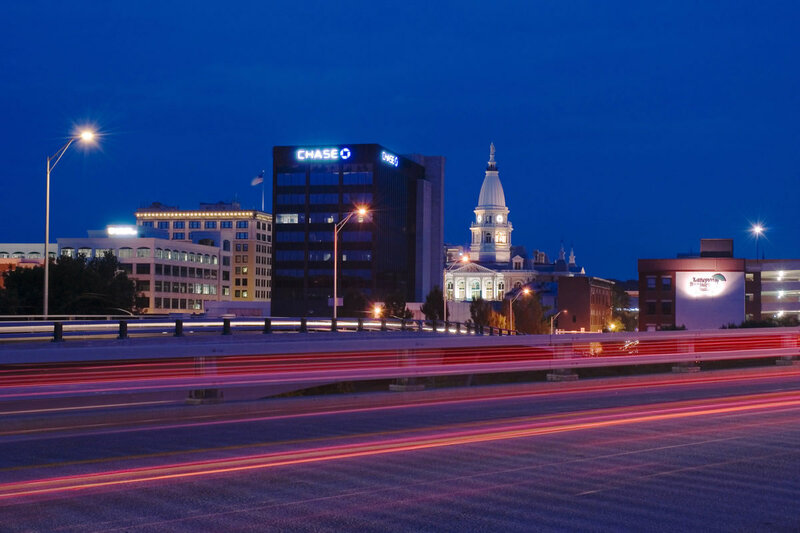 Greater Lafayette is comprised of Lafayette and West Lafayette, two cities on the Wabash River located 60 miles from Indianapolis and 120 miles from Chicago. West Lafayette is the home of Purdue University, one of the top 25 universities in America. Stuart & Branigin’s offices are located in the Lafayette Life Building in the heart of downtown Lafayette, adjacent to the state and federal courthouses. Our thriving downtown is home to many professional offices, shops, restaurants and a seasonal farmer’s market. We enjoy many annual festivals such as the Feast of the Hunter’s Moon, Dancing in the Streets, the Uptown Jazz & Blues Festival and the Taste of Tippecanoe. Our economy is strong and our culture is vibrant and diverse. We enjoy a fine mix of Midwestern charm and metropolitan attractions. Indiana District 4 Pro Bono Corp.